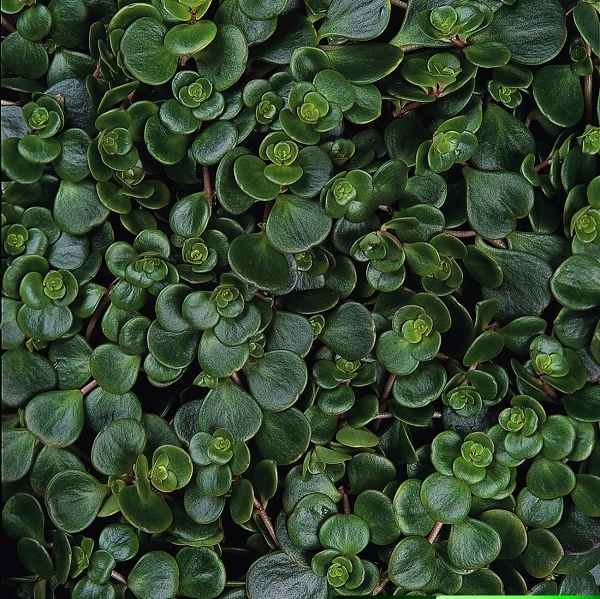 Sedum tetractinum is a spreading groundcover sedum with round flat foliage that hugs the ground. The foliage is a green in the summer, turning a unique shade of cinnamon bronze in fall...a great grower and a spectacular attention-getter in the rock garden! In summer, Sedum tetractinum is topped with bright yellow flower clusters that rise just above the foliage.